If you are planning to design a flash website and market the same, it’s a very bad idea in terms of SEO. This is because flash websites are least search engine friendly and its safe to say that search engine robots detest flash websites. Stuffing your website with unusual URLs that have string, query or several numbers is not advisable. If you have already done that, it’s a clear indication that you need to make changes in your website. URLs should be easily decipherable to both humans and search engine robots. It’s an unethical practice to populate your website with contents of other website. Not only would the ranking be affected due to this practice, but you could also face some serious legal issues due to plagiarism. It’s become a common practice to take the help of automated submission software and other software like bookmarking software. 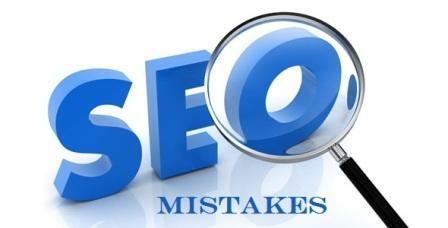 Although this helps in generating a large number of backlinks, it doesn’t help in improving the ranking anymore. There are chances for the website to get banned by using this method. Although some keywords have a heavy competition, they could be of very low search value. Targeting on such keywords and stuffing the contents with such keywords would not be of any help. The first focus of search engines is to read title tags of pages. Hence, give the necessary attention to title tags to get quickly indexed. It’s important to make sure that H1 and H2 tags are relevant to the website content. The H1 tag must contain or be related to the targeted keywords and the H2 tag should be in such a manner that it explains these keywords well. It’s a misconception that greater the number of backlinks, more famous is the website. It’s not true. Created unlimited backlinks with websites unrelated to your business or content would severely affect the ranking.